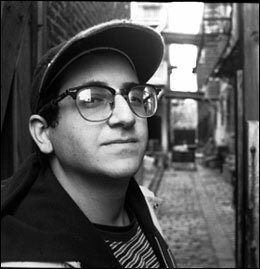 Atom (Adam Goren) created spastic, heartfelt, punk-inspired rock anthems with a guitar and Casio synthesizer along with the help of his trusty sequencer, “Package”. His intensely personal, in-joke-laden lyrics sound like scribblings from some much-xeroxed ‘zine, while the music itself is often irresistibly catchy. Atom played his final show in August 2003, and is now a member of the band Armalite.